Are you a sports fan looking to show support for your team or favorite player? Well here is a new way to do so! 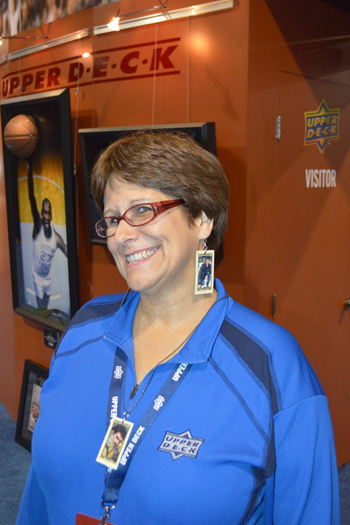 Upper Deck staff used Goodwin Champions mini cards make earrings and necklaces showing off our favorite cards in a brand new way. 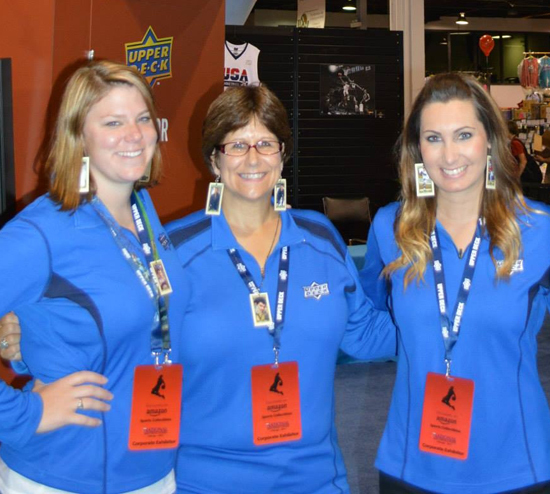 Upper Deck staff rocked some sweet looking earrings and necklaces using Goodwin Champions mini cards at the National Sports Collectors Convention. 1. Pick out your favorite Upper Deck mini trading cards to use, but you probably don’t want to use the rare ones! 2. Punch a hole at the top center of the trading card and insert an eyelet (typically found in scrapbooking supply stores). 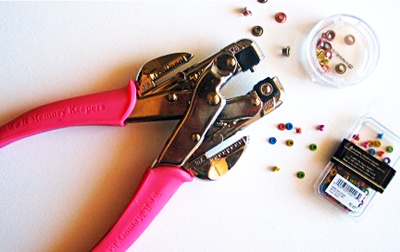 This scrapbook accessory will help you make the earring or necklace so it will last for awhile. 3. 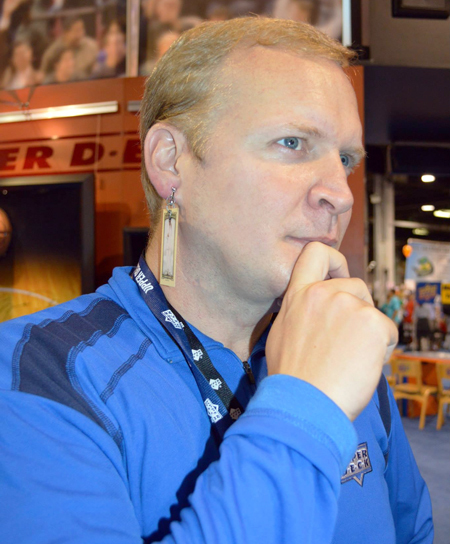 Then use a jewelry jump ring to attach the earring back. You can get the jewelry jump ring and earring back at a jewelry store. 4. You can also use a variety of jewelry chains to attach the card to wearing it as a necklace. 5. 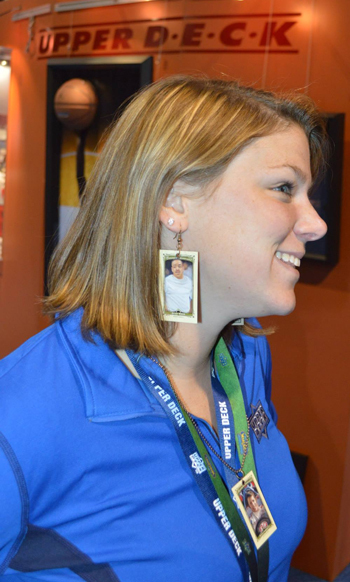 Sport your new trading card accessories to the game, sports bar or gathering! The big question is will this fashion statement spread to men? Hmmmm… Probably not. This is one unique idea. that how a user can know it. Therefore that’s why this piece of writing is great.